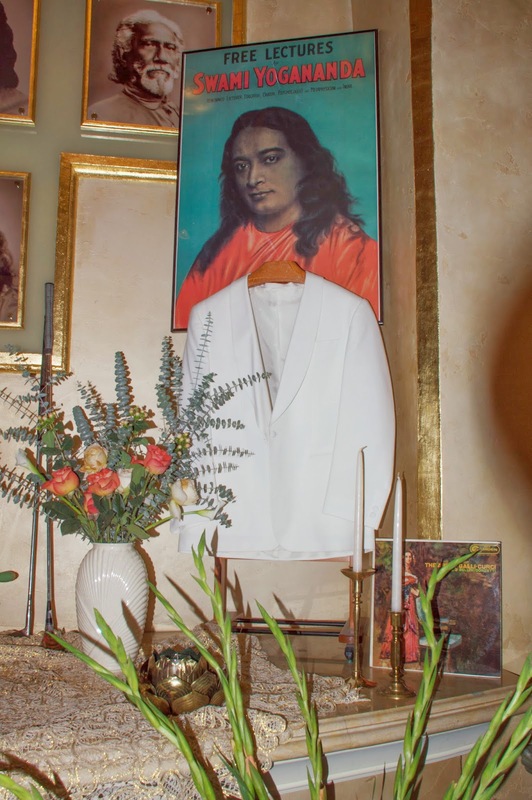 Master's Birthday & "Meeting the Master"
On the weekend leading up to Christmas, we celebrated inwardly by following Yogananda’s tradition of holding an all-day meditation. 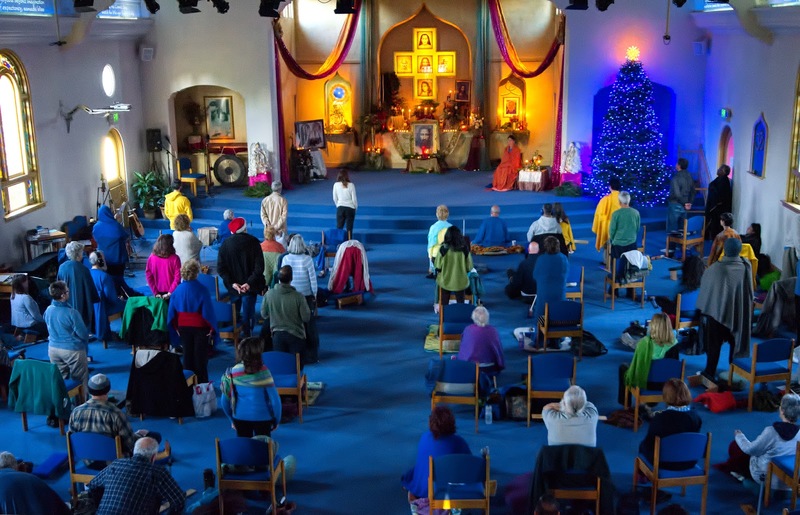 Some hundred or so meditators filled the temple for eight hours, meditating with occasional breaks for chanting and listening to recordings of both Master and Swamiji, and their music. The photos capture the lovely, astral quality of the day. Our Christmas Eve service is the bridge that connects our inner observation of “spiritual Christmas” with the outer events and celebrations that the season honors. 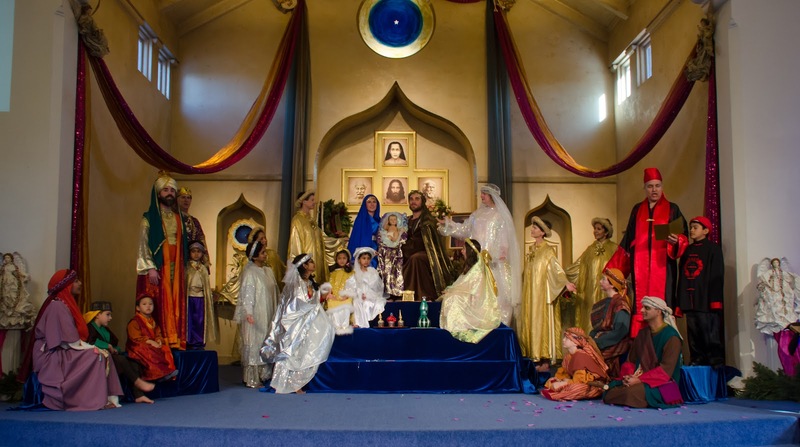 In an extended Festival of Light, we watched the whole Christmas story unfold before us in glorious pageantry, but the bhav throughout was one of deep and reverent devotion. Photos of Christmas Eve are here. Then finally, Christmas Day itself. 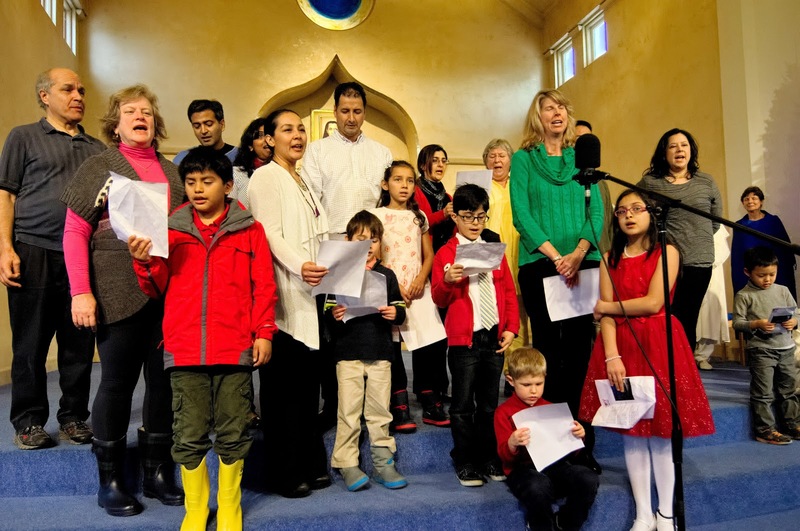 Our “family service” (well-loved by all ages) enacted the story again, narrated by Asha, in a more exuberantly Christmas-morning mood, with various children, parents, and friends taking part as shepherds, angels, wise men, and even musicians. And to top it all off, our Christmas banquet followed the morning service. 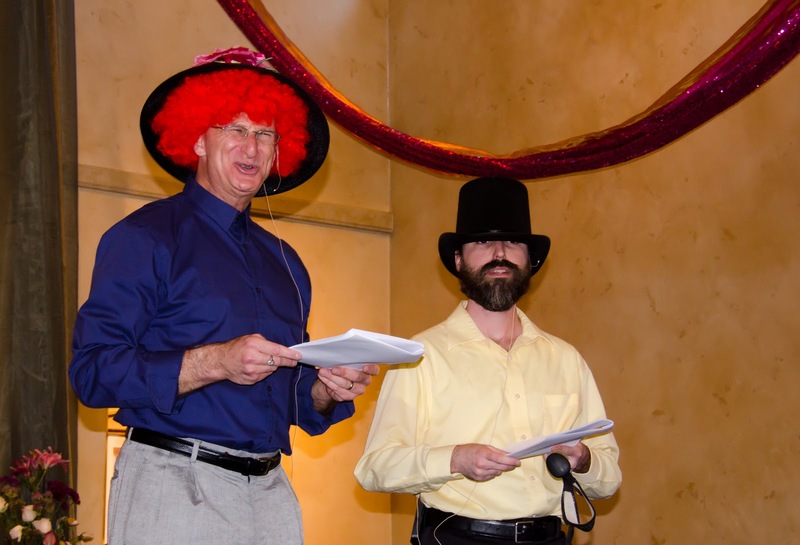 For entertainment, Steven and Tandava enacted a rather different but nonetheless entertaining story: “The Amazing Hat Mystery,” by P. G. Wodehouse. (If you missed it and are wondering how we solved a mystery like those hats... well, it was either the fourth dimension or a Christmas miracle.) All the Christmas Day photos are here. It’s December! And, as always, our Christmas season at Ananda comes with an almost continual soundtrack of glorious music. The kickoff this year was the choir’s Christmas Concert, which we held after service on the 6th (lunch provided). 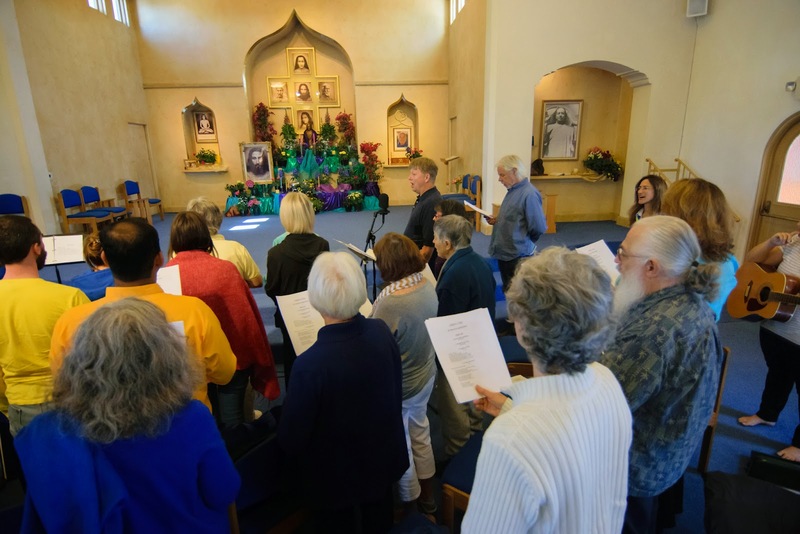 Along with some of our favorites of Swami Kriyananda’s Christmas music, we also enjoyed pieces by Bach, Rachmaninov, Holst, Billings, and more. 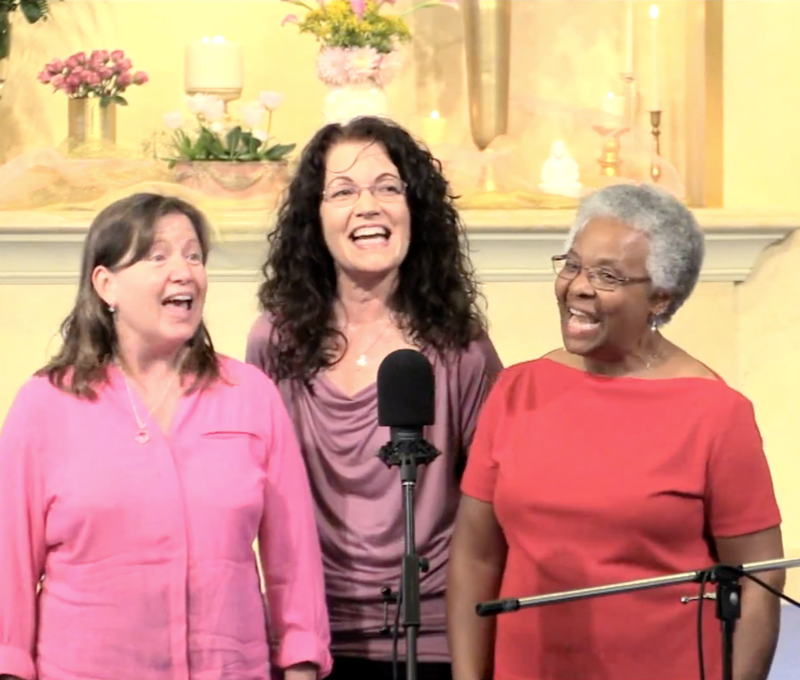 So much good music has been written over the centuries in honor of Jesus’s birthday, which makes this a fun way for the choir to branch out a bit and learn some new pieces. 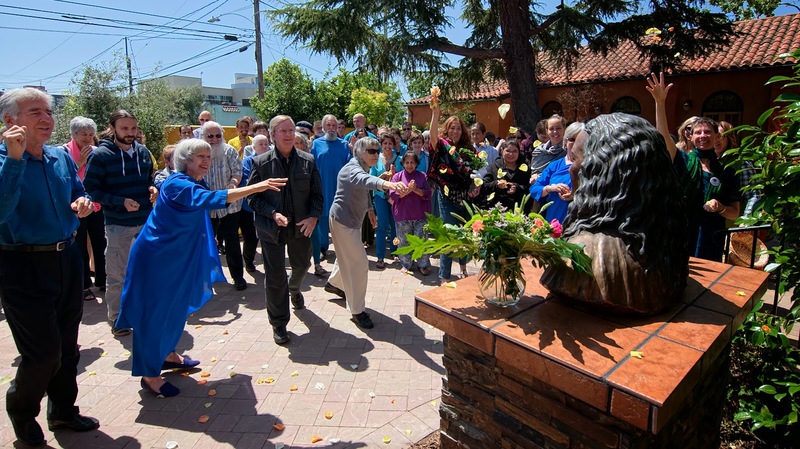 And it’s pleasing to think that someday perhaps there will be an equally broad and illustrious repertoire written by devotees of Yogananda. If you’re looking at the photos and wondering what’s going on there at the end, we’re singing “Lord of the Dance.” So naturally that requires some dancing, and the choir can hardly be expected to do it all themselves. Check out the video of the entire concert if you want the full effect. 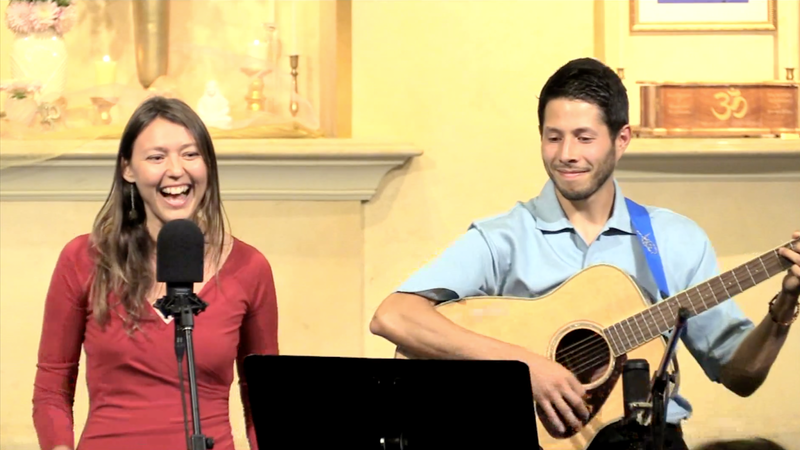 This past Sunday, a number of families came on stage and led us in singing “Joy to the World.” They’d been practicing this recently at our monthly Family Service. 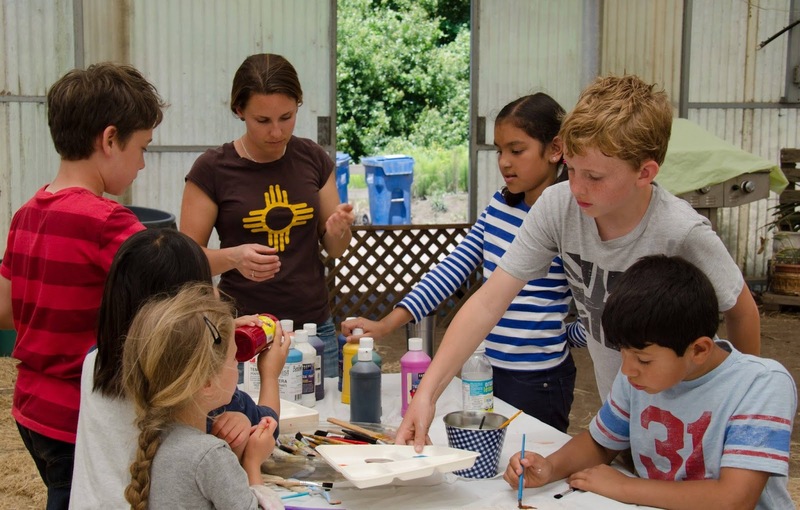 (If you’ve got kids and aren’t coming to this already, you should definitely check it out on the first Saturday of each month.) 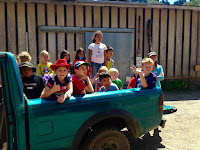 More pictures of the kids are here. Also this weekend we had our Members’s Christmas double-party (double because it takes two nights and we still barely squeezed everyone in). What portions of Chela Bhavan weren’t packed with devotees were filled with food, and then we poured Christmas carols over the whole thing to fill in the cracks. Which of course got us all warmed up for next Sunday’s caroling trip that we’ll take around the neighborhood. (So if you’re still up for more singing, that’s your next chance!) Party photos are here. Swami Kriyananda wrote so much music (over 450 individual pieces!) that much of it unintentionally tends to fall by the wayside, even with all the music we enjoy during service and at other events every week. Every once in a while, we try to correct this by putting on a concert full of little-heard and lesser-known songs and instrumentals. Plus, it’s a good excuse to enjoy more music! This time around we had the concert in the evening, which helped give it a sweeter, more intimate feel, compared to the afternoons we often do. 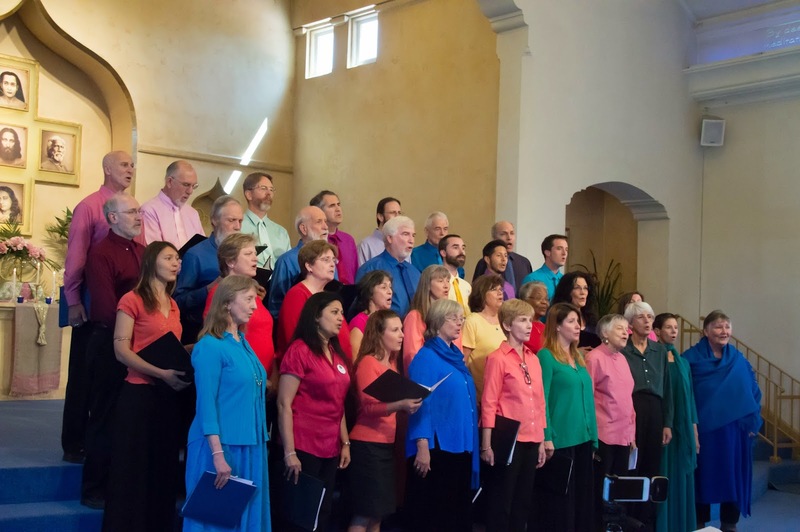 Another difference was that there were fewer full-choir pieces this time, with the bulk of the songs going to solos, with a few duets and trios as well. 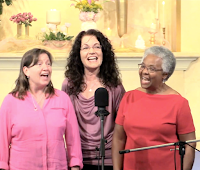 There’s a certain clarity and connection that comes through when a soloist sings a favorite song that they particularly chose to share with us, and we could feel the experience of these songs one after another building throughout the evening. 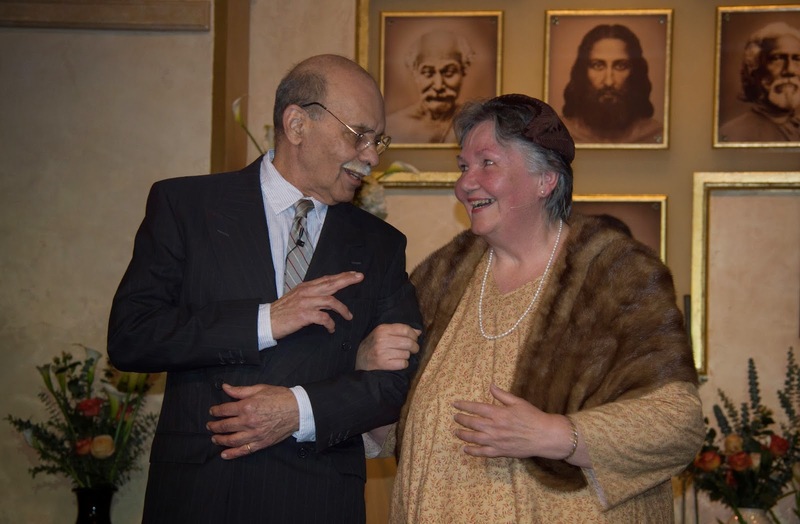 Many people, even those who have heard dozens of Ananda concerts, commented on how special this one felt. If you missed the concert, or just want to ever-newly re-enjoy it, the video is already posted! (Due to technical difficulties, the last couple of songs are missing, and “Dublin Town” is off in its own separate video.) Enjoy! This Saturday we held our annual Fourth of July Celebration at the community, with swimming, water balloons, potluck barbecue and picnic, and music. 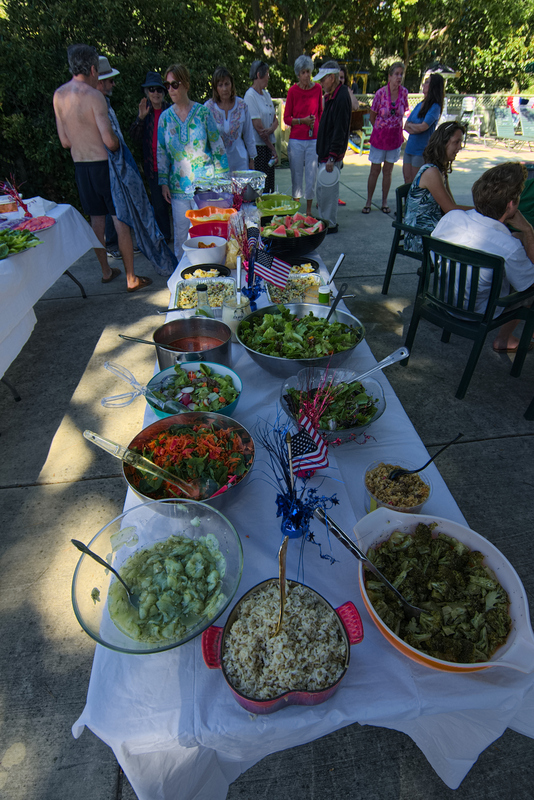 With 50+ people, we had plenty of tasty salads, side dishes, and desserts to go with our veggie burgers and dogs. See all the photos here! 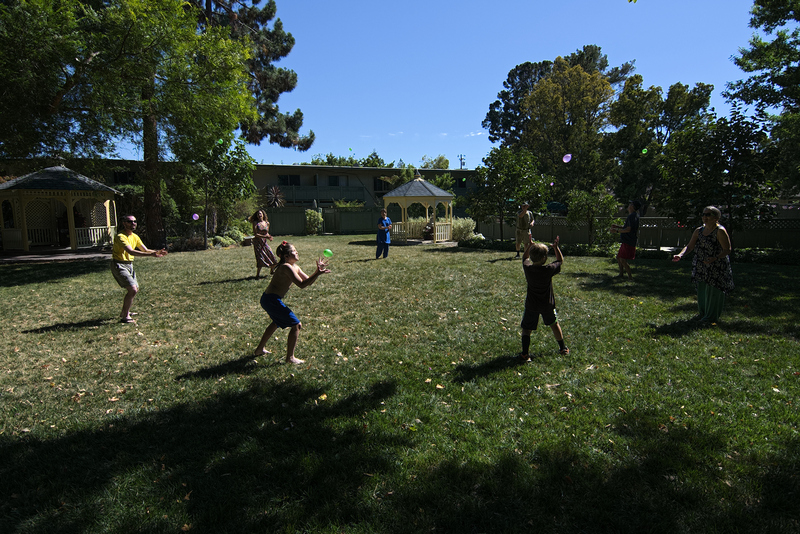 The water balloon games this year started with the standard water balloon toss and gradually developed into a new invention in which one group of players tossed water balloons around in a circle, while an interlocking circle threw their balloons in the opposite direction. Increasing numbers of both balloons and participants kept things increasingly interesting. His love is marching on. Happy “True Freedom Day” to all! 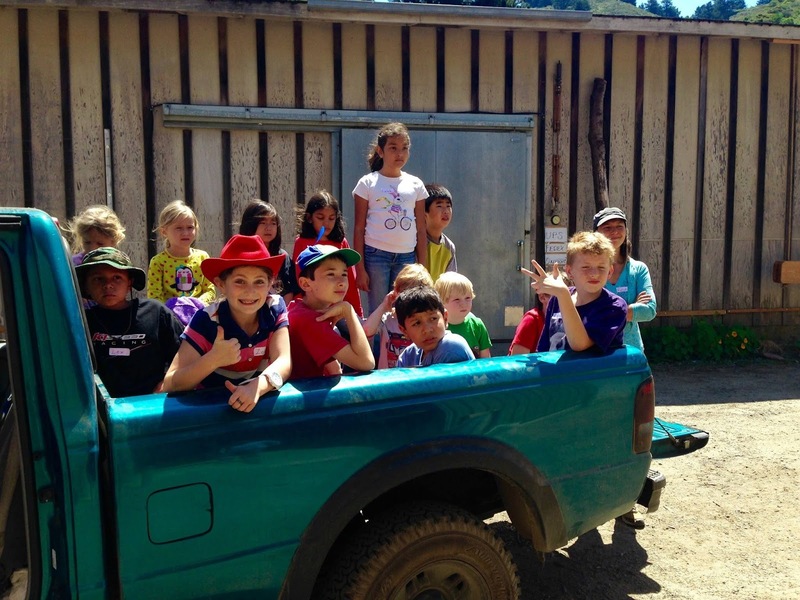 Here are some photo highlights from our June Farm Adventure Days! When you think of all the components God pulled together for a wonderful week it is truly amazing. The chicks arrived a day before the first day, and all the kids got to hold these brand new baby chicks about the size of a orange. 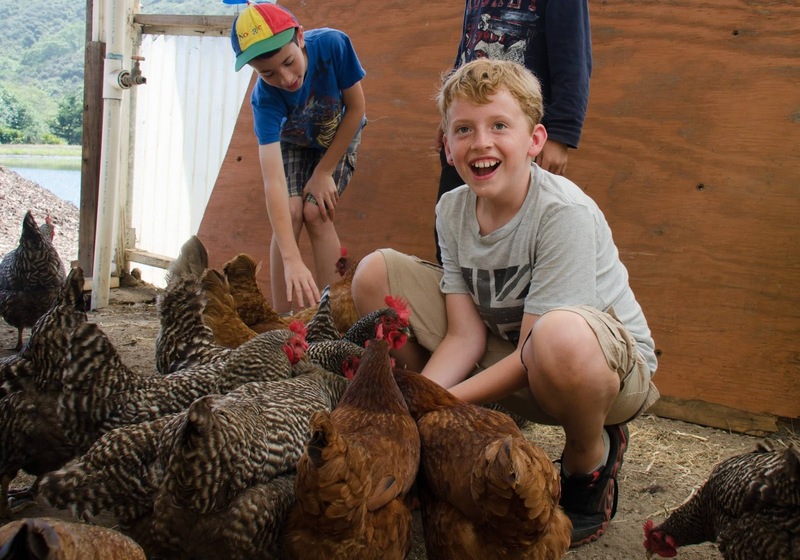 The big chickens were great fun to feed and get the eggs from. 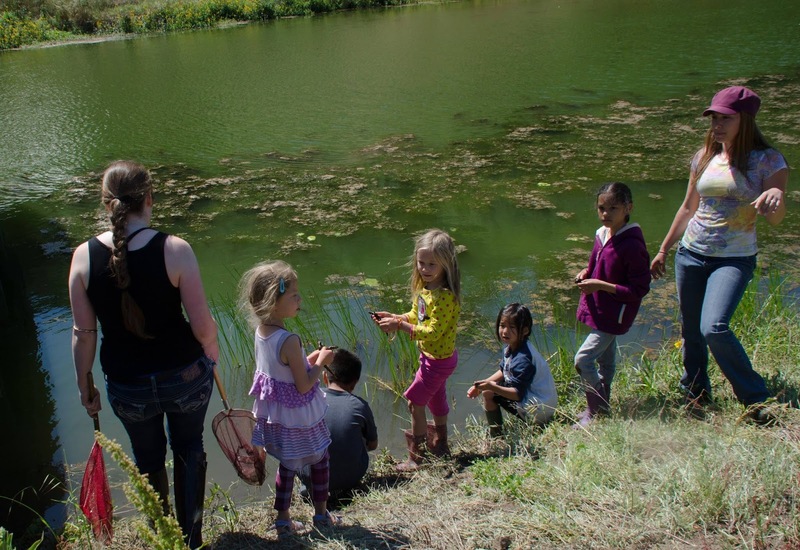 The pond with salamanders or Sally’s as the kids called them were endless fun to catch and release along with the cute small frogs. We also enjoyed art projects, planting veggies, nature appreciation games, and a trip to the beach. 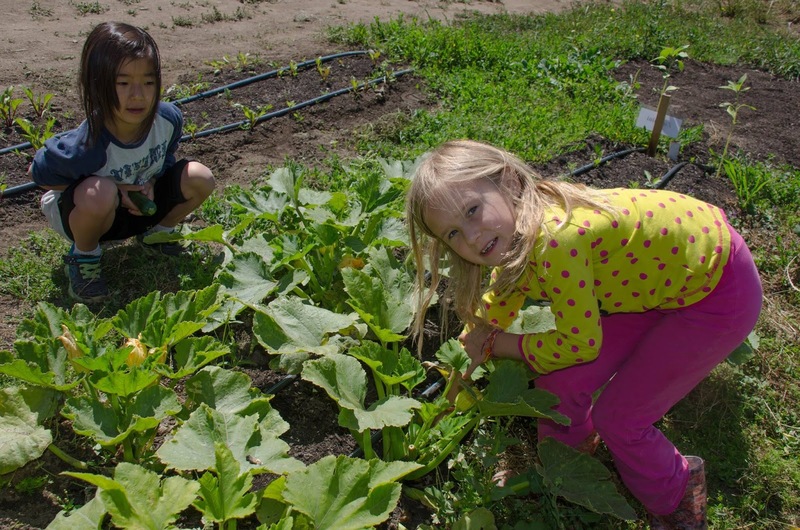 It’s wonderful for kids to get unplugged and get out in the sunshine to explore and play. 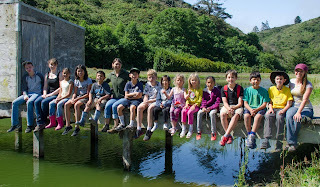 We want to thank our wonderful teachers that led the week of adventure days. Our daughter Kelly was in another camp being a teen leader last week after doing the same at FAD. 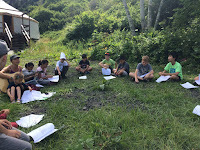 Her comment was that the other camp was not like an Ananda teacher experience — those Ananda teachers put a lot of thought and energy into really connecting with the kids. A few photos here and lots more photos here. 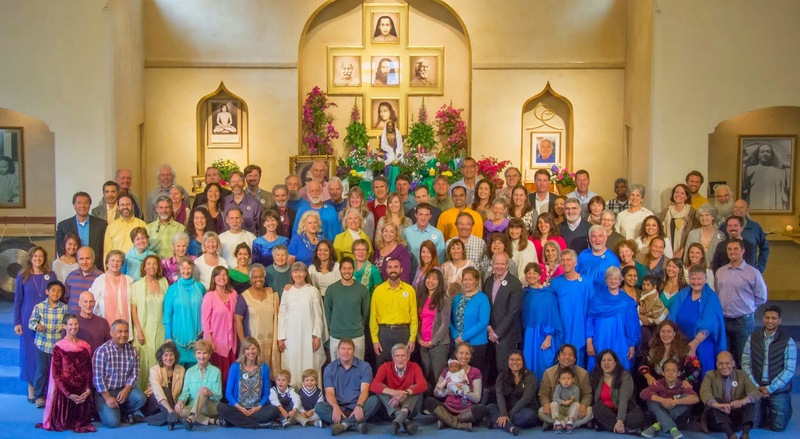 Whoops — I forgot to mention in the last post one of our other Easter traditions: our annual all-congregation photo. Here we all are! If you want to get the high-resolution version, click on the photo above, then click “More,” then select “Download.” Enjoy! 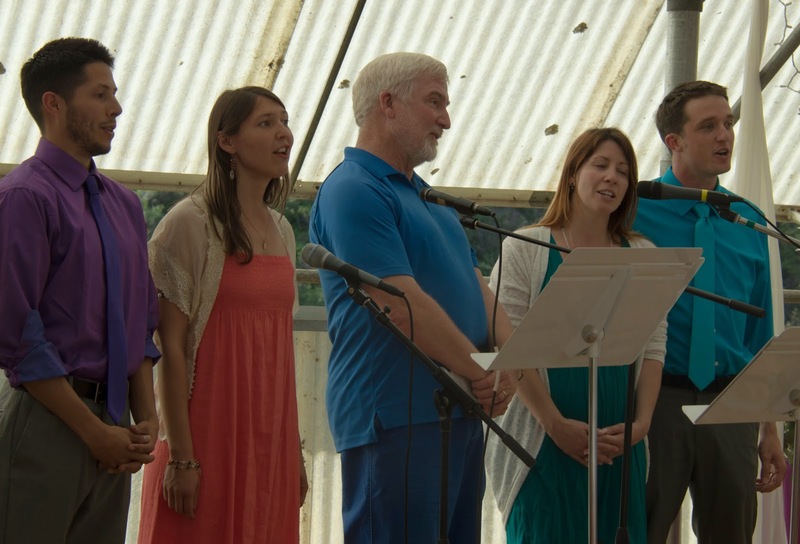 Our Easter festivities kicked off on Palm Sunday with a choir concert following service (and lunch). The choir had had a great time learning several new pieces by Handel, Mendelssohn, and Mozart, some of which have been voted among the top-10 favorites of choirs nationwide. 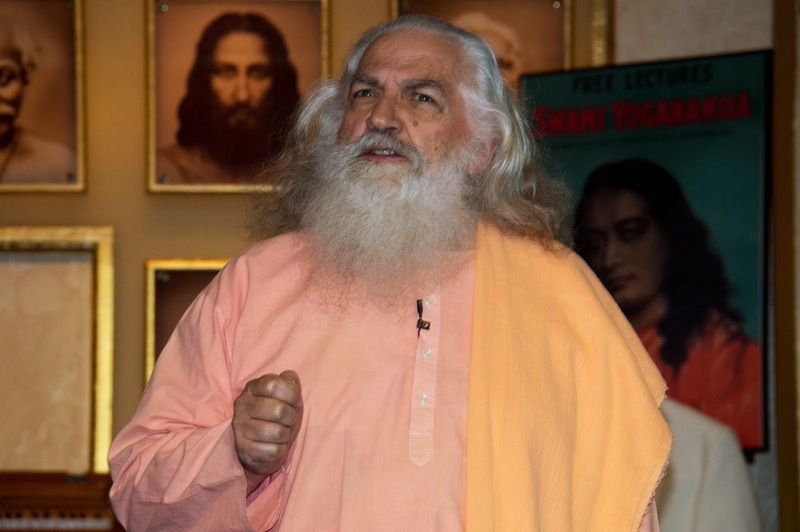 And, of course, there was also a generous selection of Swami Kriyananda’s music, which will some day be on such a list. An extra treat was cello accompaniment to two of the songs, provided by Hiroki, an LWS student. We’ve got some photos of the day here, plus a video of the entire concert for your enjoyment. 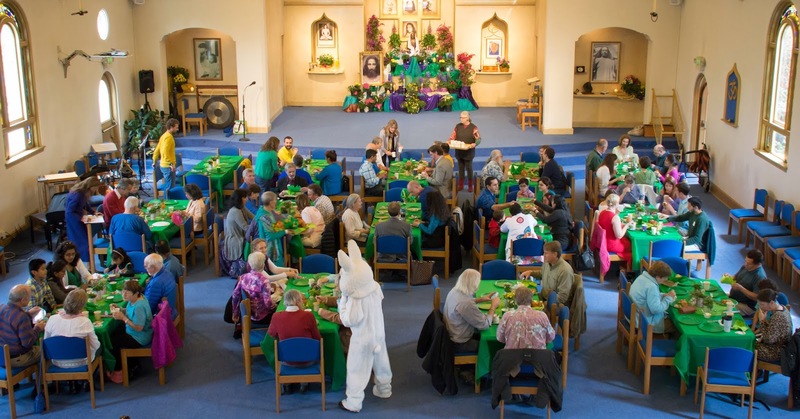 Holy Week culminated in a glorious Easter celebration. One new element this year was a choreography to “Rise in Freedom” (an excellent Easter chant). 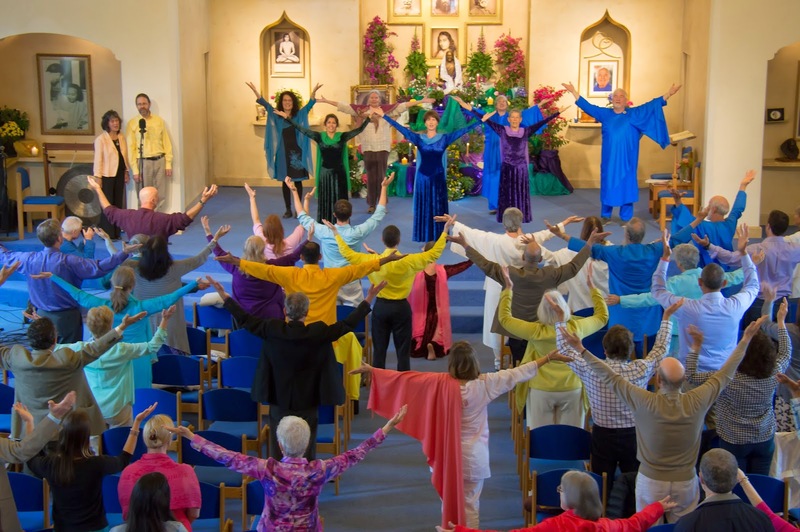 It was performed by four of our dancers at the beginning of service, but the whole congregation got to join in later on (at least as far as the arm motions were concerned). 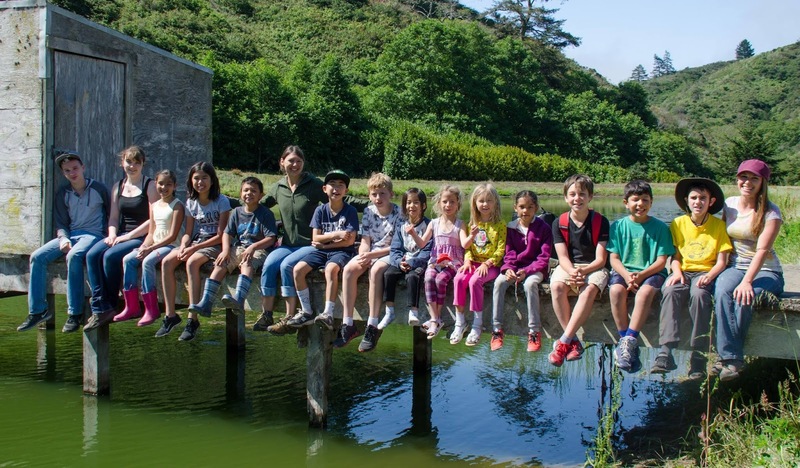 We also got a performance of “Lightly I Fly” from many of the children and families who have been rehearsing it for us at our Family Services the past couple of months. Our Easter banquet was held in the temple rather than at the community, due to impending drizzle, but all was bright with delight inside. 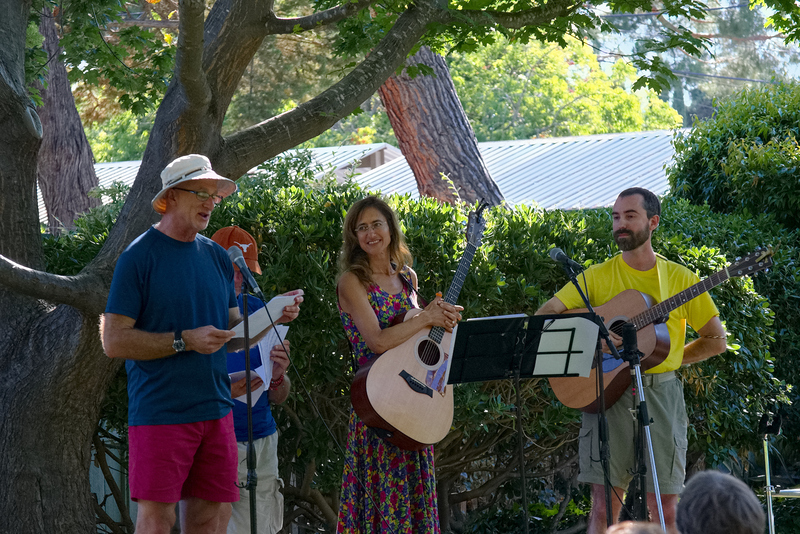 Entertainment included juggling, violin music, banjo music, stand-up comedy, and the inaugural performance of the Ananda Ukulele Ministry (AUM). Clean-up inspiration provided by David and Karen’s rendition of “Who Will Clean Up?” to Swamiji’s tune of “Who Is Sylvia?” Photos of the entire Easter day can be found here, and if that’s not enough, also here. on a bright Ananda Easter Day. from the land where yogis pray. 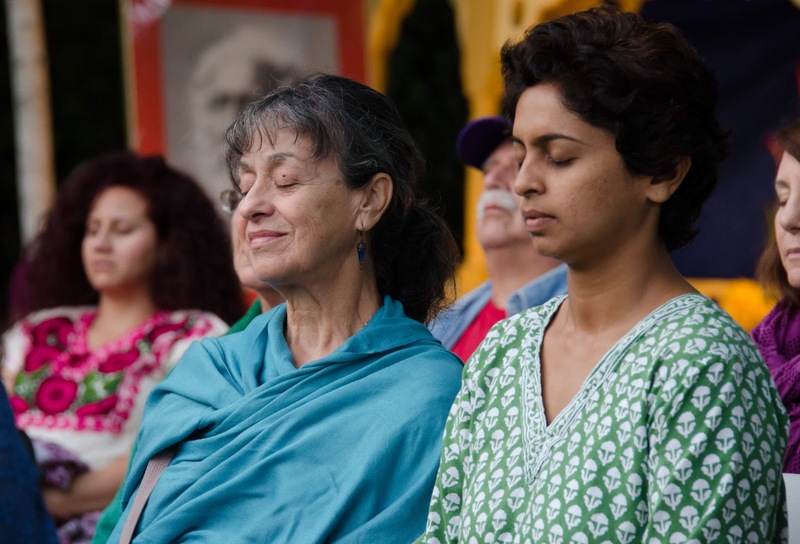 we’ll meditate by day and then again at night. to say Happy Easter to you. 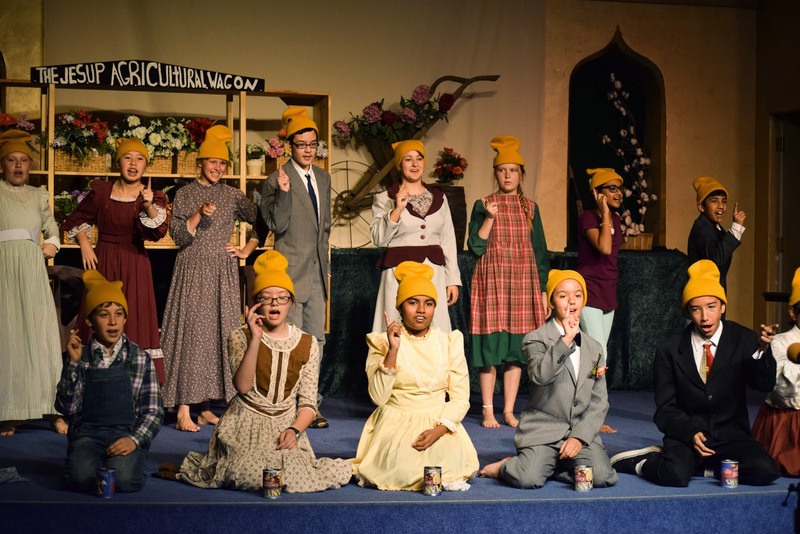 In Living Wisdom School’s 22-year run of exceptional performances, this year’s play was a first. As always, its subject was an inspiring spiritual figure, but for the first time it was also a scientist: George Washington Carver. As the introductory scene acknowledged, science and religion have not always gotten along well together, but in today’s society it’s important to be reminded that they can, and indeed, should. The fusion of the two also paralleled the post-Civil War struggle for racial integration that was another major thread throughout the play. discuss the subject of this year’s play. The music throughout the production featured two songs as its main themes: “How Can I Keep from Singing?,” a beautiful hymn in tune with Carver’s optimistic and indomitable spirit, and “Amen,” a joyful, hand-clapping gospel classic. 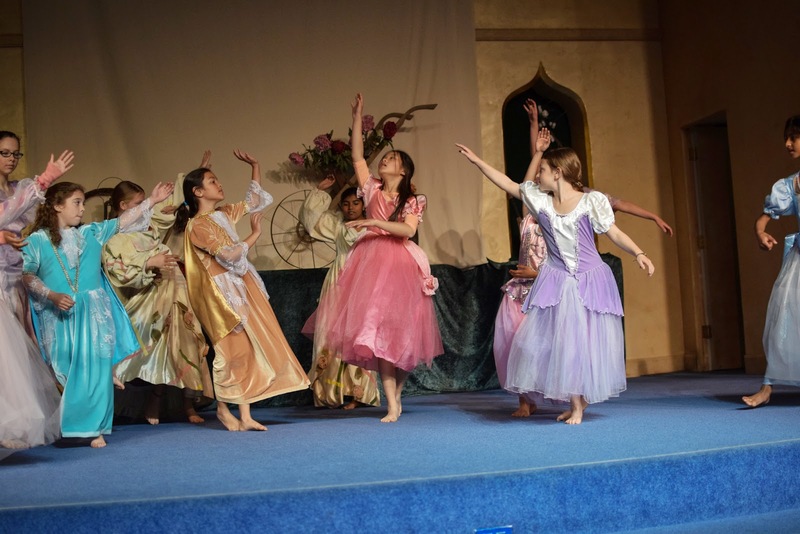 This year also included a number of dance choreographies, among them an adorable ballet of nature devas healing sick flowers to the music of “The Blue Danube,” one of Yogananda’s favorites. Dance was also used very effectively in some of the action scenes — a Civil War battle and a mob scene — to soften the scary moments for some of the younger children while still conveying the intensity of those events. performed by the all-school chorus. 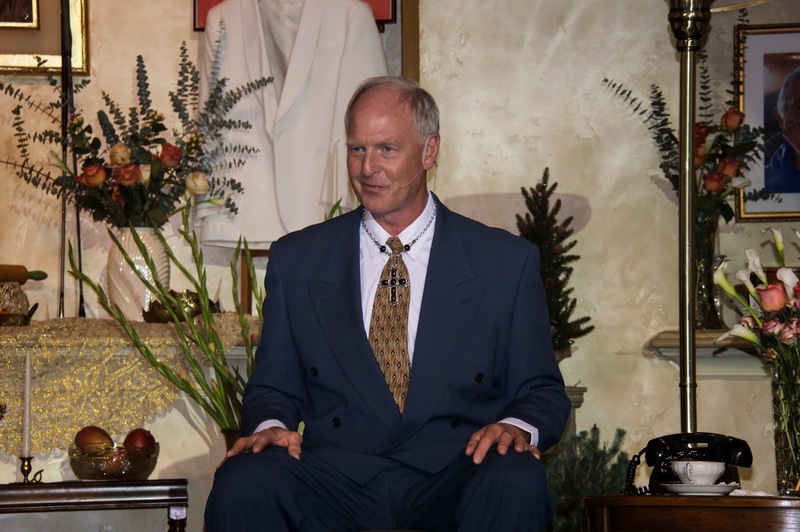 The play excelled not only as entertainment, but as a history lesson, with the events coming to life before our eyes. Anyone who grew up in the United States probably remembers reading, for instance, Lincoln’s Gettysburg Address in school. But hearing these words in context, recited by students putting their hearts into it, conveys the power of that speech at that moment in a way no textbook can. We’re lucky to have many original quotes from George Washington Carver himself as well, conveying his consciousness all the more directly. 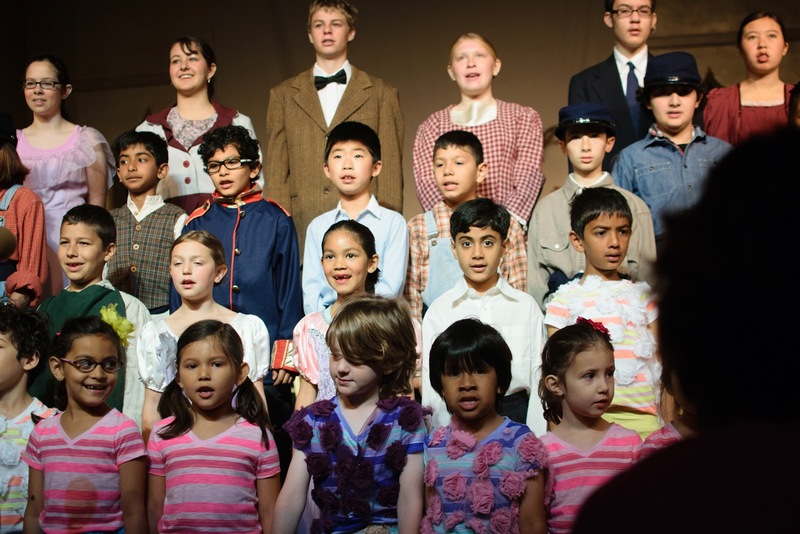 Far beyond mere rote memorization, participation in the play develops deeper skills in the students, including flexibility and grace under pressure. An example: For the final evening, several children were unable to perform. With the entire school already fully involved, there had been no bandwidth to assign or train understudies. So just before showtime, the director simply asked who else in the cast knew the missing students’ lines. 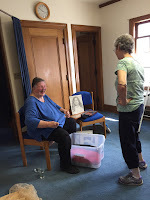 The volunteers stepped into their new roles with all the confidence of actors who had paid complete attention in rehearsals even to scenes that were not originally their own. More photos from the dress rehearsal can be found here, and keep an eye on the LWS Vimeo channel for the official performance videos (coming soon)! While yogis are no strangers to moments of delight, beauty and surprise, the Enchanted Tea fundraising event on the farm this past weekend may have set a new standard for experiencing such divine gifts amidst the clucking of nearby chickens, the insulating charm of greenhouse surroundings and the fresh, earthy scent of a recently enhanced straw floor. The nearly 35 guests (and an equal number of volunteers) who attended enjoyed a lovely afternoon of tea, various courses of delicious handmade foods representing different countries, and the splendid musical entertainment of a talented vocal quartet. 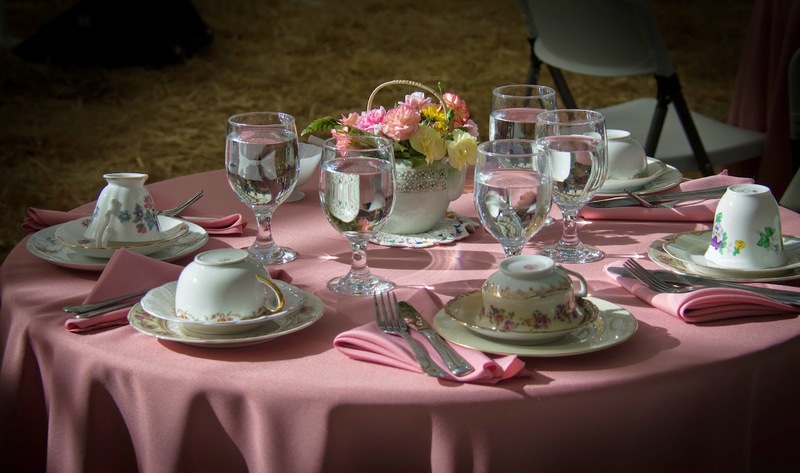 While refinement was in the air, and a cadre of waiters was on hand to serve guests in sit-down fashion, the order of the day was the much-anticipated opportunity to offer support to our beloved farm, and the many projects that await funding in order to proceed. 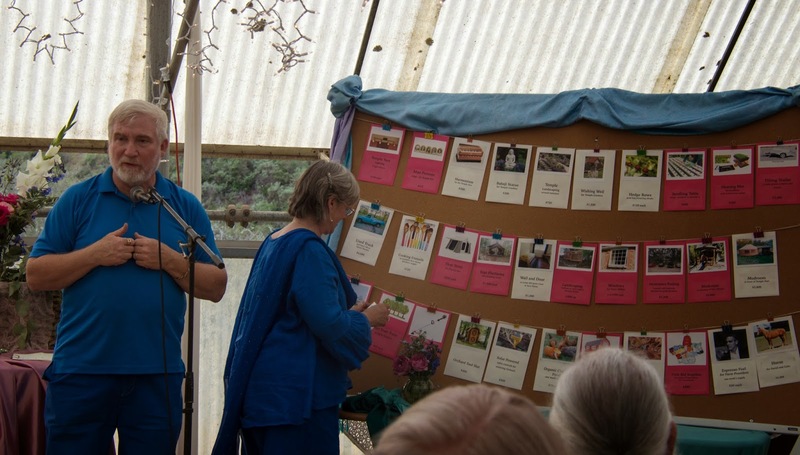 What began as an inventory of 30 items in need of sponsorship, quickly transformed into a list reflective of the true generosity of spirit that has accompanied the Ananda Valley Farm from its inception. 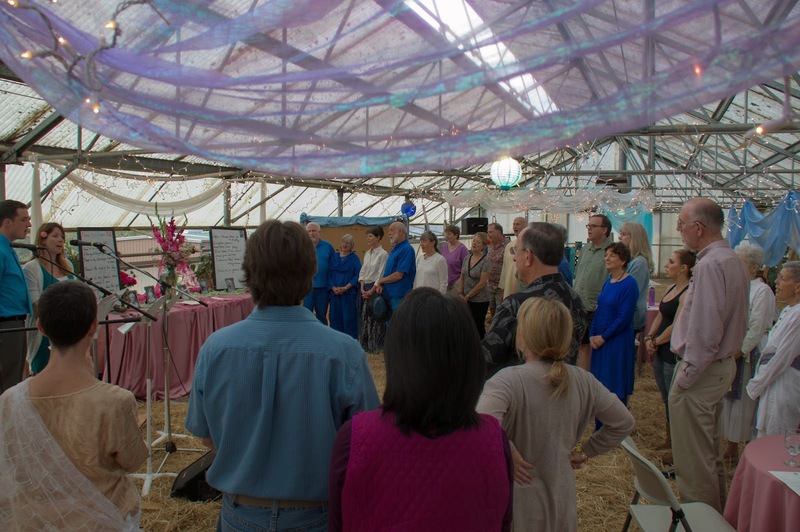 Many projects were fully funded; among them a mobile chicken coop, equipment to expand seedling production, funding to expand the accommodations at Seva House, new fruit trees for the orchard, solar-powered valve controls for watering, landscaping and a wishing well for the Temple yurt, and even the addition of an espresso machine for the Seva House kitchen. And, lastly, the entire room erupted in cheers and applause at the announcement of the funding of the final item on the list: a horse. Stay tuned for the many seva opportunities that will arise as these upgrades to the farm are purchased and become ready to install. 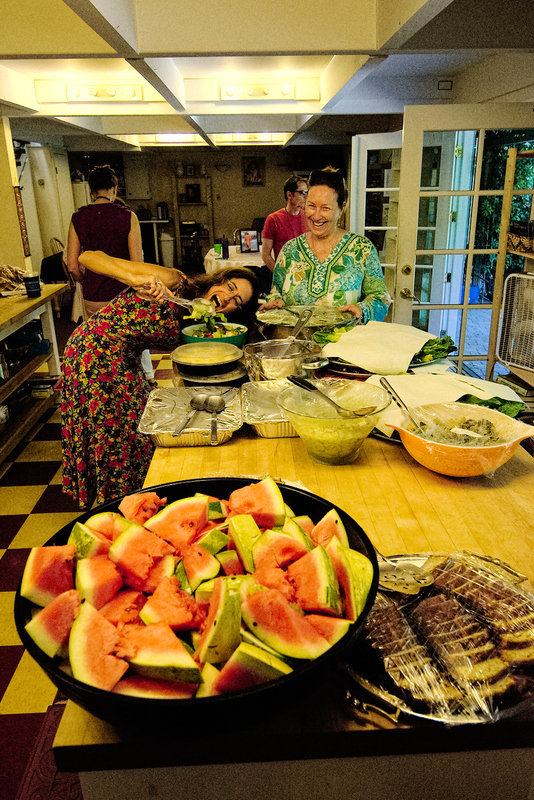 For now, we would like to express gratitude to all of those whose willing service contributed to an exquisite experience at the farm, and to God and Gurus for the abundant blessings that continue to grace the life of Ananda Valley Farm. 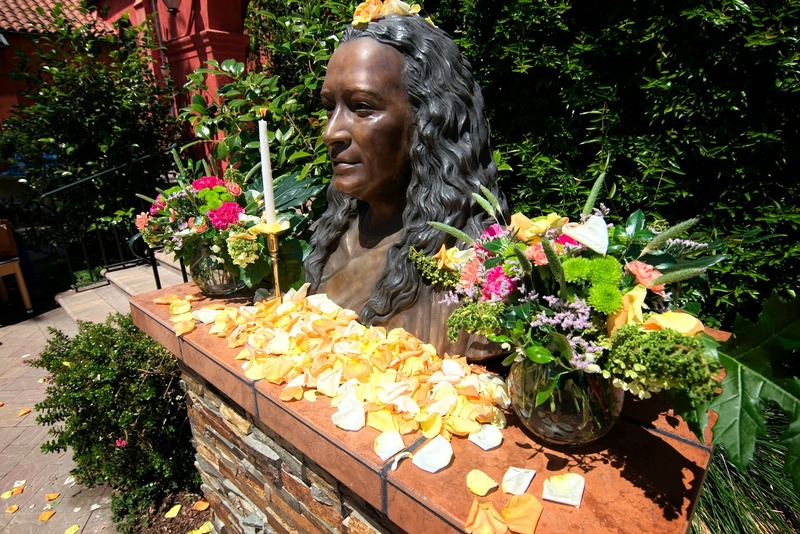 One of our most sacred days - our Guru Paramhansa Yogananda’s Birthday - reminds us of the very reasons we are here and what our purpose is. Master mentioned (The Divine Romance, p. 398) that it is beneficial to meditate on the birthdays of any of the Self-realized gurus, as these days are auspicious and filled with blessings. Thus, we started Yoganandaji’s birthday with a two-hour meditation and followed with chants, songs and music. We then listened to Swami’s recorded story how Master’s book Autobiography of a Yogi affected him deeply and changed his life. This reminded many of us of our own unforgettable experiences we had while reading this sacred book. 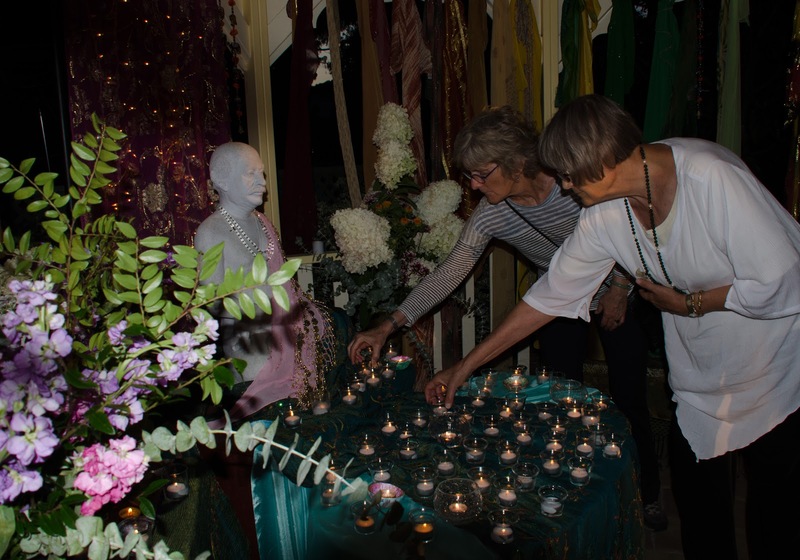 After the sermon we had a beautiful devotional ceremony renewing and reaffirming our vows and supporting others in their reaffirmations. We had a group of new initiates into the Sadhaka as well as Sevaka orders. 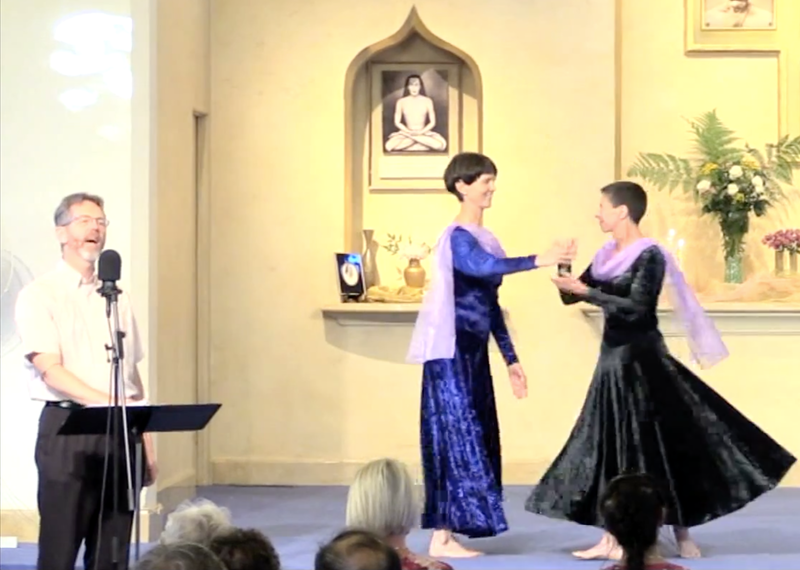 Here is the video link to Swami’s and Asha’s talks. 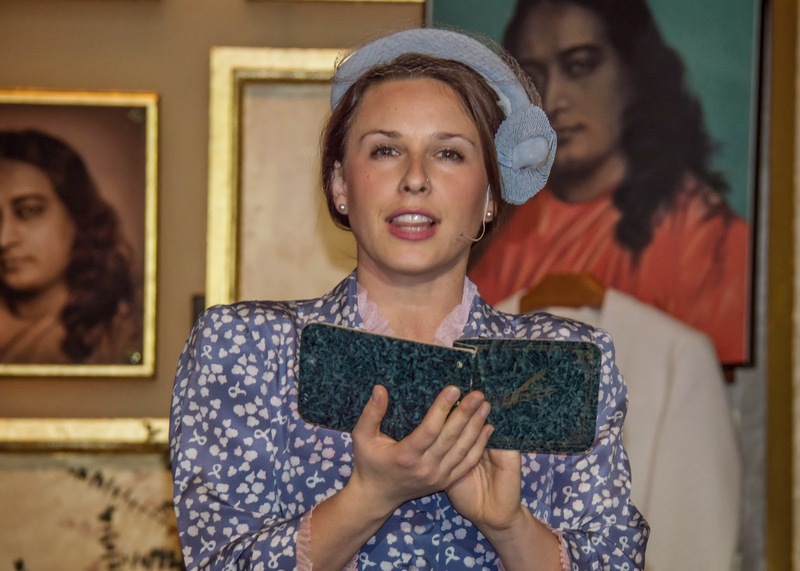 Last Saturday evening we witnessed a new milestone in Ananda’s spiritual activities: a way of writing and performing plays on such a deep soul-level which so far has not been seen nor experienced before - as mentioned by many who came to see the play. 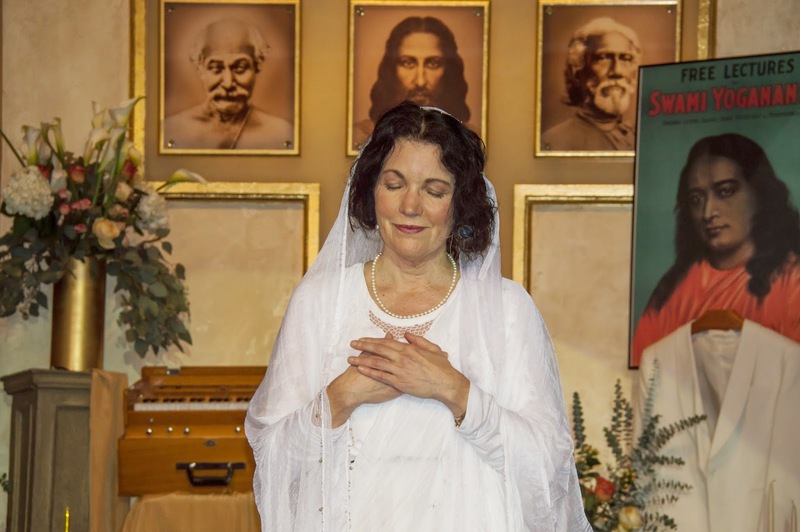 The play conveys the experiences, blessings, healing and feelings of the early disciples, when they met Master for the first time, and includes loving anecdotes of their relationship with their Guru. 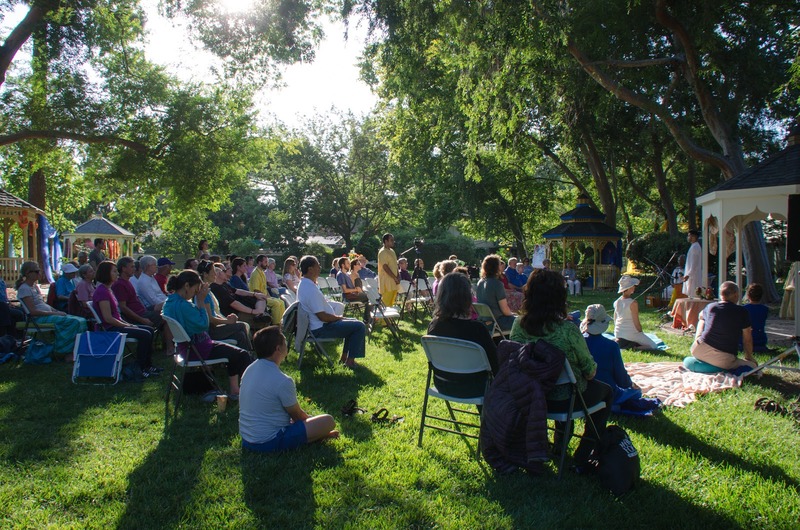 The stories were presented by Paramhansa Yogananda’s early disciples such as Gyanamata (played by Asha), Dr. and Mrs. Lewis (Marcel Hernandez & Anandaprem), Kamala (Erica Kellogg), Durga Mata (Kristy Norfleet-Andrews, author of the play), Rajarshi (Garth Gilchrist) and Kriyananda (Rammurti Reed). 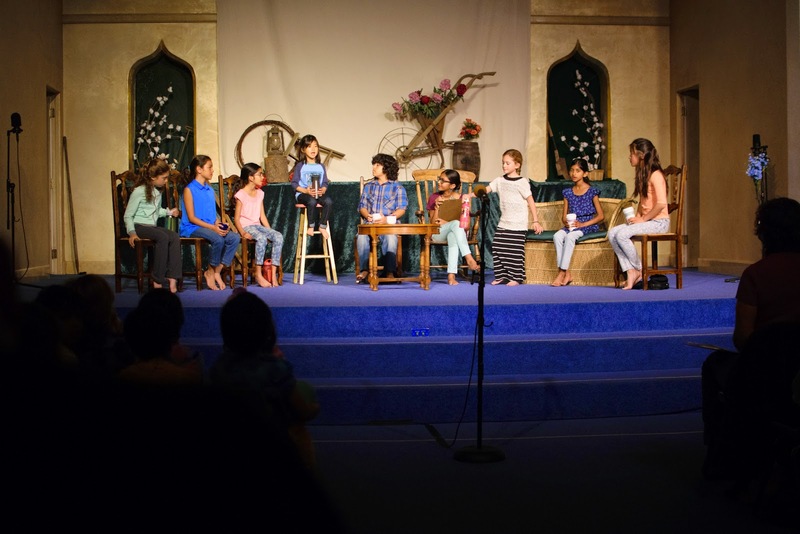 The play was for all of us an amazing experience: while we listened to the accounts of the disciples, how they met Master for the first time, we could feel through their owns words what an incredible life-altering, blessed experience this was. 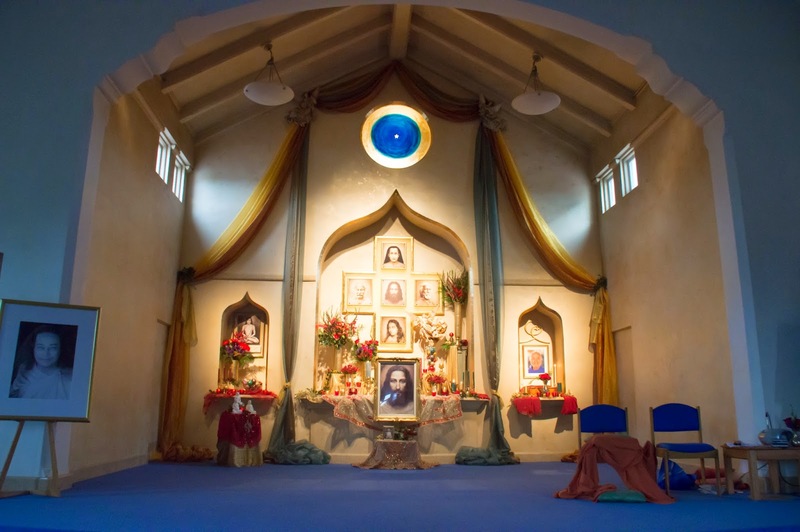 We were transported to the times when Master lived, how he behaved and acted, how his disciples loved and revered him, how it was to receive his unconditional love and protection. 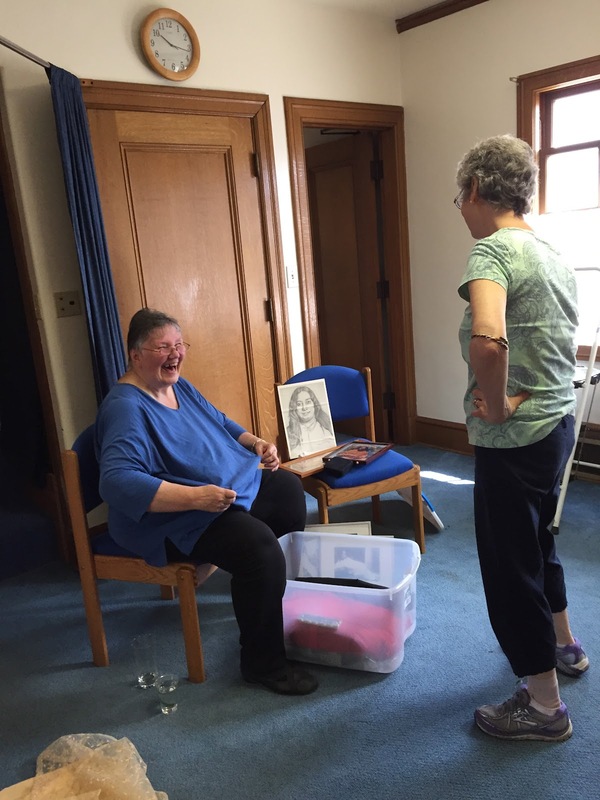 At some stage of the play we did not only feel part of the play, but we could feel the same feelings as they were expressed by all disciples who were been played and who were playing the part. Here are some more pictures. 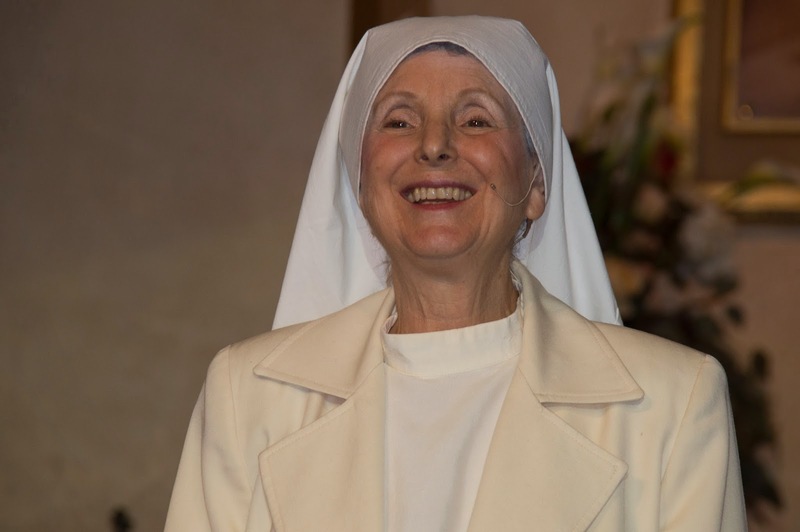 This soul-quality and soul-experience which occurred during this evening, made a strong impression on us, but also left a blessed imprint on our consciousness and made us feel, on a very deep level, joyful. If you have not yet seen the play, you still have a chance to see it this Saturday, 24th of January, at 6 pm at Ananda Sacramento. Of course, we have also here a recording of the play (Part 1 + Part 2). Enjoy!